On December 16, the UP TV holiday movie Christmas on Holly Lane will debut at 7 PM. 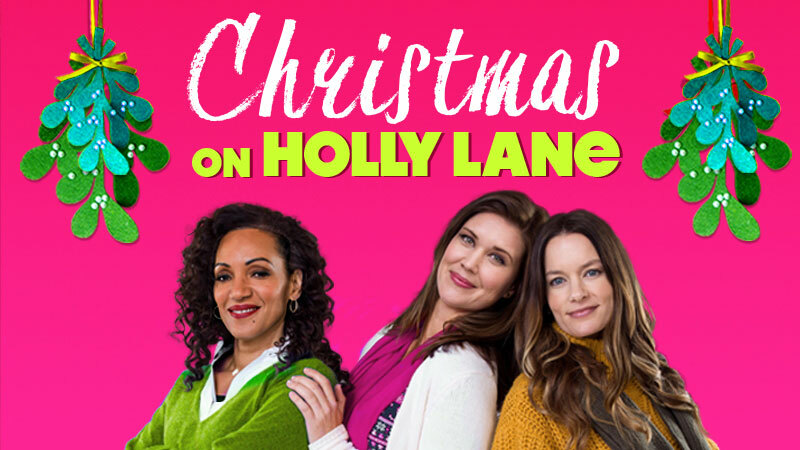 The house on Holly Lane has always held a special place in the hearts of life-long best friends Sarah, Cat and Riley (Sarah Lancaster, Gina Holden and Karen Holness). It’s the magical home where they spent many happy Christmases. Now, the girls are all grown-up and the house they hold dear is in danger of being sold. With each friend at a different crossroad, they will all have to come together to call upon that special Christmas magic that can only happen on Holly Lane.